Andrew studied at Melbourne High School and then went on to complete his bachelor of Physiotherapy at La Trobe University in 2003. He has since worked in numerous private practice clinics, working closely with Chiropractors and Osteopaths in a multidisciplinary clinic and has developed an interest in spinal manipulation and acupuncture. 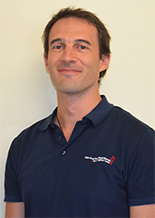 In October 2004, Andrew joined Main Road West Physiotherapy and over the years, he has enhanced his knowledge in spinal back pain, post operative rehabilitation and sporting injuries. He also works closely with orthopaedic surgeons from the Mercy Private Hospital and is the physiotherapist for St Albans Football Club and the Victorian University Secondary College Rugby and Sports Academy which is affliated with the Melbourne Storm. In 2009, Andrew has taken over Main Road West Physiotherapy and is now its principal Physiotherapist. He has extensive knowledge in Workcover and TAC related injuries and has affiliations with CRS (Community Rehabilitation Services) Watergardens and the doctors in the local area. He also works two days/week in Deer Park Medical Clinic alongside GPs. Andrew is a member of the Australian Physiotherapy Association (APA) and Sports Physiotherapy Association (SPA). He has also completed his level 1 Sports accreditation and certificate of Acupuncture. Andrew is also bilingual in both English and Vietnamese and has a strong passion for Aussie Rules Football….Go Hawks!!! Andrew also enjoys running and has a high interest in the biomechanics of natural/barefeet running and hopes to compete in his first Marathon in October 2013. Kane is a New Zealand trained physiotherapist graduating in 2001 who has had over 10 years experience in musculoskeletal physiotherapy. He has had the privilege to work with some of New Zealand’s top talents including professional & Olympic athletes. Kane feels satisfaction in seeing clients achieve their goals, whether that is a return to sport or a successful rehabilitation & return to work. He maintains his interest in the profession through continuing education & applying the latest research to his clients. 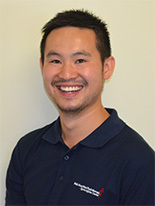 Kane has been with us at Main Road West Physiotherapy since arriving in Australia in 2011. 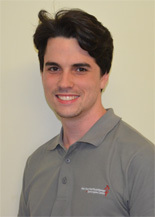 He has recently completed his certificate in Dry Needling and is familiar with all Workcover and TAC injuries. Natasha completed her Bachelor of Physiotherapy at La Trobe University in 2008 and has been working in various hospital settings since graduation. She is always committed to learning and continually looking for opportunities to expand her skills and experiences. Natasha has developed her physiotherapy skills in orthopaedic rehabilitation including post total hip/knee replacements, shoulder surgeries, falls & balance patients in addition to neurological clients such as stroke, Parkinson’s disease and multiple sclerosis. Natasha also has sound skills in assessing and treating paediatric clients including those with cerebral palsy. In addition Natasha has worked at HARP respiratory physiotherapy where she showed competency in airway clearance, pulmonary rehabilitation, lungs education and energy conservation. 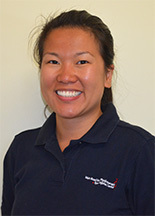 Natasha is looking to explore her clinical physiotherapy skills and experience further so she joins the team at Main Road West Physiotherapy in early 2013. She has recently completed her certificate in Dry Needling. Natasha is also bilingual in Vietnamese and English. Glyn completed his studies in Myotherapy in 2011 at Melbourne Institute of Massage Therapy (MIMT) and has been working at Main Road West Physiotherapy since the beginning of 2012. Glyn has been working fulltime since completing studies and has experience treating clients in physiotherapy and chiropractic clinics as well as having experience at Geelong football club treating elite athletes. Myotherapy can aid in muscle injury prevention and rehabilitation, it focuses on restoring and maintaining normal health and condition of the muscles. 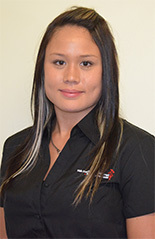 Marleen Ciappara is an accredited Exercise Physiologist with the Australian Association of Exercise and Sports Science (AAESS). Since graduating from RMIT University in 2001 with a Bachelor of Applied Science in Human Movement, Marleen has worked at Yooralla prescribing gym, pool, and home exercise programs for people with disabilities. Marleen also completed a Post Graduate Diploma in Exercise Rehabilitation in 2003. She specialises in exercise prescription for the prevention and treatment of musculoskeletal injury, chronic pain and chronic disease such as diabetes, high blood pressure, heart disease, and arthritis, as well as weight loss. Your initial consultation will take approximately 30-45 minutes. Based on your specific goals, you will receive and individualised physical activity/exercise program. Medicare Rebates may be available to patients with chronic conditions managed under the EPC plan. Workcover and certain Private Health Insurance Funds rebates are also available. 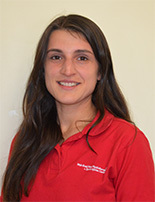 Raquel is the Practice Manager at Main Road West Physiotherapy and Sports Injuries Centre. Joining the Main Road West team in May 2008, she is responsible for all the behind the scenes needed to run the Physiotherapy clinic smoothly. Her duties involve promoting the clinic, liaising with local GPs, surgeons and sporting clubs, book keeping, issuing of accounts and general management of staff. Her bubbly personality and friendly smile will make you feel comfortable and she is also there to help patients with any problems they may need, whether it may be Workcover, TAC, Medicare related or general questions about what the services the clinic provides.